My Home and Garden: Does anyone have a few seeds for this plant, that I could have? Does anyone have a few seeds for this plant, that I could have? 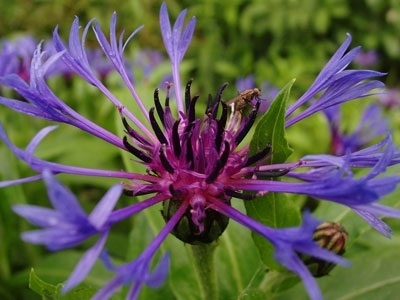 I have been looking for seeds for this type of cornflower for two years and just can't find any. I can get the regular looking ones, but I love these ones that look like a firework exploding. I grew them years ago. Does anyone have a few seeds I could have? I will look to see if mine resembles the one you have posted. If so, will dig up a piece, put in a baggie and mail. Mine certainly 'travels' so beware. It is an old variety (will send history) but I note, quite large and quite blue. Stand by.